Christopher H. Ariano is co-founder of the law firm of Ariano & Associates, PLLC. He manages the employment law department of Ariano & Associates, PLLC. Christopher Ariano is an experienced Phoenix bankruptcy attorney available for consultations regarding the preparation and filing of consumer bankruptcy petitions across the state of Arizona. Devoting the majority of his career to the filing of Arizona chapter 7 and chapter 13 consumer bankruptcy petitions, Chris has the specialized knowledge base to confidently guide you through the process of filing for bankruptcy. Chris is a Midwestern boy at heart. He was raised in the suburbs of Chicago, a fan of deep dish pizza and the Chicago bears. He attended a private catholic high school, where he led the men’s golf team to a state championship competition. Upon graduating, Chris headed west to attend the prestigious Leeds school of business at the University of Colorado, from which he graduated with a B.S. in both information technology and management human resources. Following in the footsteps of his father and brother, both accomplished attorneys, Chris decided to pursue a career in law. He attended the University of Detroit Mercy School of Law, graduating with a Juris Doctorate. While attending UDM, Chris interned under the honorable Judge Mark Randon, Federal Magistrate Judge for the Eastern District of Michigan. In addition, during his three years at UDM, Chris received several accolades for outstanding academic performance. The best thing I ever did was end my relationship with my previous attorney and hire Chris to take her place. 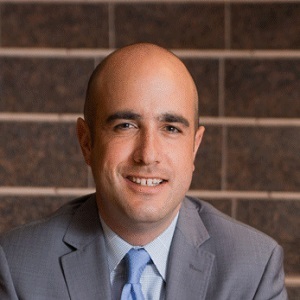 After law school, Chris relocated to the sunny state of Arizona and soon thereafter sat for and passed the Arizona state bar exam, thus gaining admittance to the Arizona state bar association. He was subsequently sworn in to practice before the US District Court for the District of Arizona. Thus began his accomplished career as a Phoenix-based bankruptcy attorney. Chris has devoted a large majority of his legal career to mastering the intricacies of successfully filing for consumer bankruptcy protection, focusing specifically on Arizona chapter 7 and chapter 13 bankruptcy. On a daily basis, Chris prepares and files bankruptcy petitions for residents of both the Phoenix and Tucson metro areas. Having an unparalleled work ethic, Chris is devoted to guiding clients throughout the entirety of the bankruptcy process. Unlike other law firms, which often pass petition paperwork down to less qualified staff, Chris guarantees to personally prepare and file all bankruptcy petitions. If you would like to speak with Chris to discuss your matter, please contact our Firm by either calling 602-515-0841 or filling out a case review form.